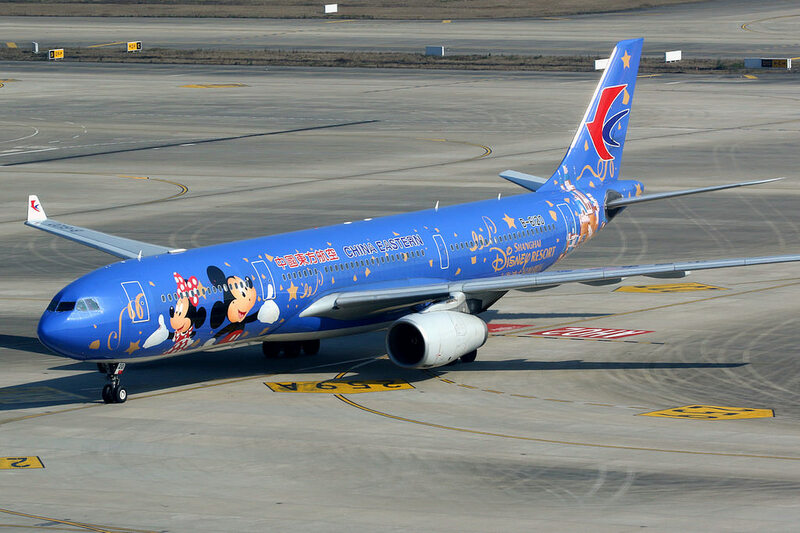 Airplane “Toy story” common project of China Eastern Airlines and Shanghai Disney Resort companies took first flight from Shanghai to Beijing on April 28th, 2018. The body of the aircraft is decorated with images of main heroes from popular cartoon and the cabin is designed in specific cartoon range of colors and style. Carrier began collaboration with Shanghai Disney Resort back in 2016. Since then two more airplanes have been launched with Mickey and Minnie Mouse. Design of those airplanes was also inspired by Disney characters. New airplane is meant for use on domestic routes. Beginning with registration passengers are always surrounded by cartoon heroes. They are everywhere: on the tables and registration counters, inside the airplane’s cabin – on the seats, food-trays, earphones, table-ware, food and beverages. Even in the luggage compartment you may see blue sky with cartoon clouds and famous characters. Presentation of new airplane took place in International Shanghai airport where guests were invited to communicate with cartoon characters but after cheerful guest night managers of China Eastern Airlines and Shanghai Disney Resort have shown the main hero of the ceremony. China Eastern Airlines became one of three biggest airline companies in China that use captivating projects for customer capture. New airplane is ne of the most interesting projects in aviation and should attract more attention to Disney Resort in Shanghai. This resort also has their own hotel “Toy story” where guests can meet their favorite characters, stay in thematic room and have lunch in cartoon coffee shop.